Last week, Apple seeded out Apple TV version 4.2.1 out to the public, and it got immediately taken down due to customer complaints. So, tonight Apple released version 4.4.2 to the public. Hopefully 4.4.2 will fix everything! This software update is more of a maintenance update more than anything. The new software includes numerous bug fixes, including issues with audio and video playback, and fast forwarding and rewinding live events. 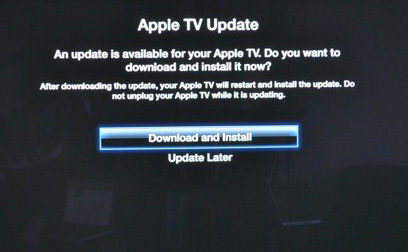 You might would like to hold off on this update if your Apple TV is working fine all ready because I would hate to see some one’s Apple TV mess up just because of an update. Steve Jobs Biography Now Available On iBooks And Kindle!